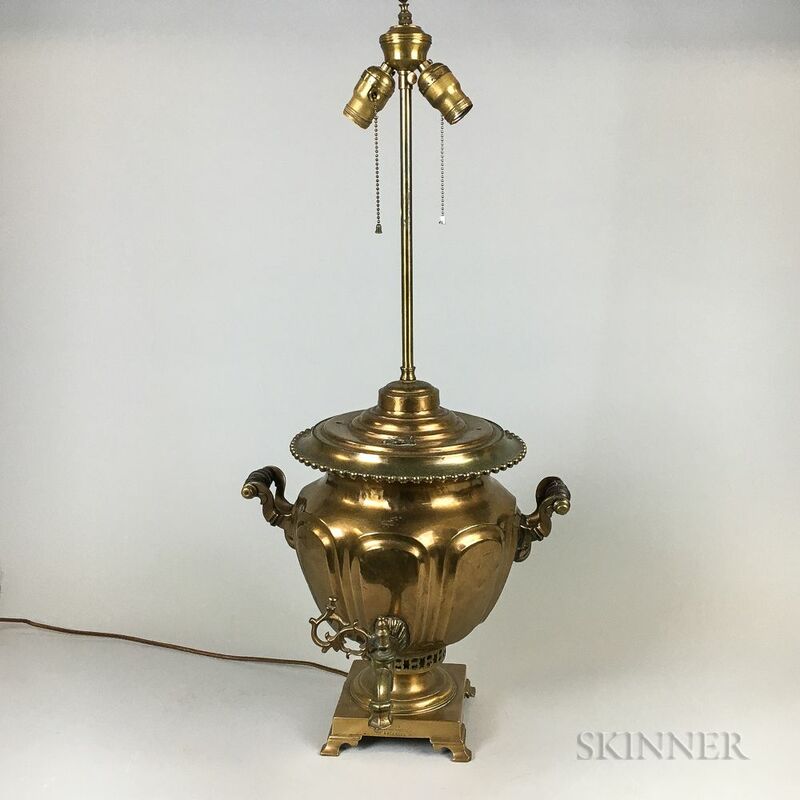 Batashev Samovar Lamp, Tula, Russia, dated 1870, urn-form copper body with brass tap and key, handles with wood insulators, stamped maker's mark "Tula Vasily Stepanovich Batashev, For Hardwork and Art 1870," seal of Alexander II, added shaft with two sockets, body ht. 17 1/2 in. One insulator cracked, needs rewiring.